Sometimes I don't feel like going out.... but it is hard work entertaining a 2 year old at home all day. My 2 year old has a short attention span and wants to be active all the time... and I am pretty sure all 2 year olds are the same (correct me if I'm wrong). 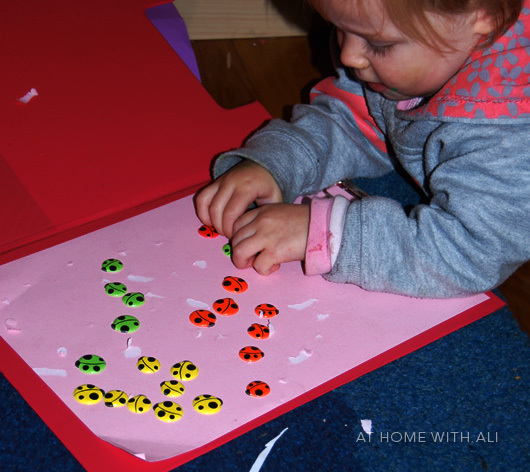 So, I have written a list of my 2 year old's 10 favourite things to do at home... and I would love to know what your kids love to do at home too. What do you think of this list? 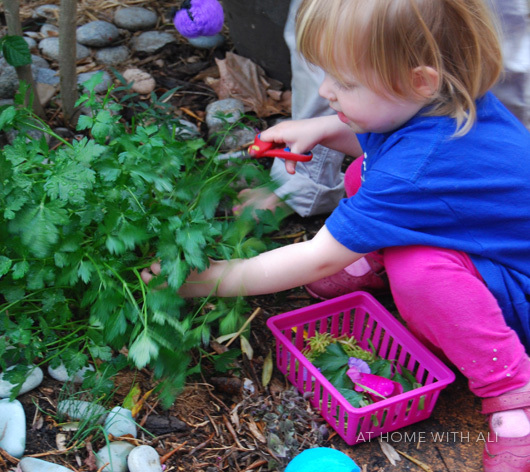 What are your kids' favourite things to do at home? 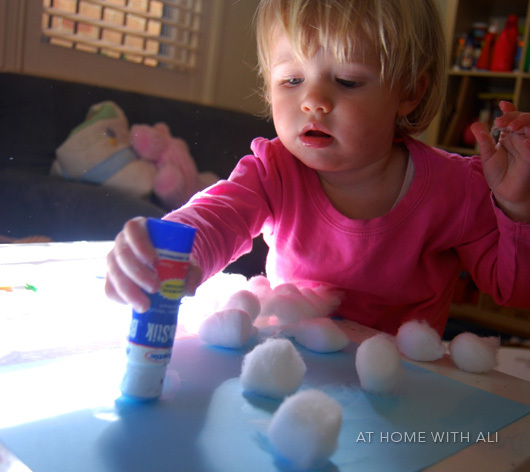 Great list Ali ~ we also love play dough, gluing, gardening and forts at ages 4 and 1 :-) I'll have to get some of those stickers to try. I get the stickers from newsagents, they are a little pricey but Boo can get them off the plastic herself and then pull them on and off for ages, so it is worth it. What a fantastic post Ali...i think your house must look very similar to mine most days lol! We have just discovered glue sticks and stickers....although so has the entire house...keep finding stickers everywhere lol...and then one must keep track of which twins is which or there are tantrums galore! Thanks so much for including us and all the wonderful inspiration. And your photos are just too cute...i was smiling all the way through! No problem at all, I love your activity posts, I can zip through your photos and they inspire loads of ideas to keep my girls busy. Wonderful collection of ideas - and that first photo is simply priceless! 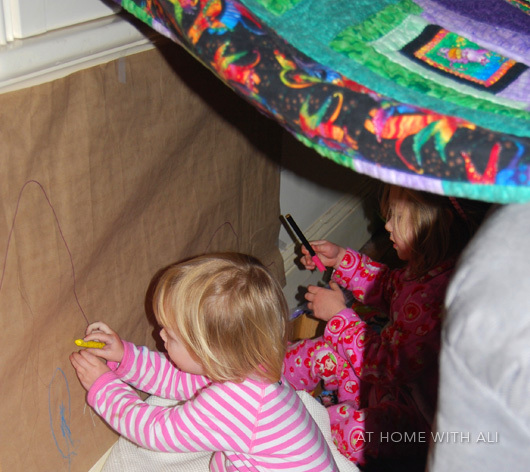 Ooh, we love forts, and paint and gardening and cooking too. I let her help me mix food up, and she loves that. She's big into building towers with blocks too. I need to find her some scissors. We haven't tried that yet. I love this list. Our two year old also loved stringing sliced pool noodles together, but I'd never thought of simple toilet paper rolls. I'd love for you to link up to our Finished Friday blog party. I'd never thought of slice pool noodles, thanks for the idea. I will definitely pop over and link up too, thanks for the invite. Great list, thank you! I'm going to try the tp rolls tomorrow. My toddler loves pushing pom poms or poker chips into an old wipes container (the kind with the soft opening) and she also loves dropping toothpicks into the holes of am old spice jar. Great ideas. Just came across your blog from a link on Twitter. I know my daughter would love the toilet paper roll idea. 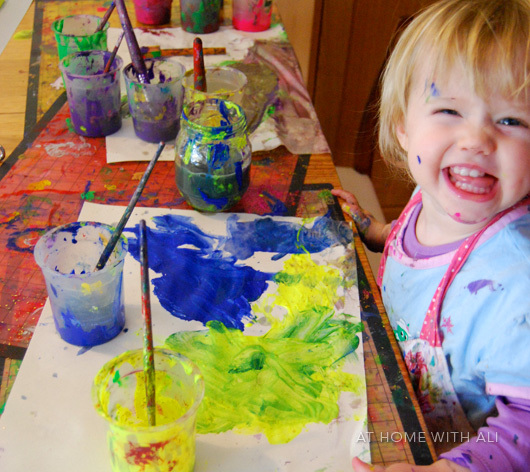 I love that it's not messy fun. Every idea I have or see online seems to ne messy. Thanks for taking the time to stop by. 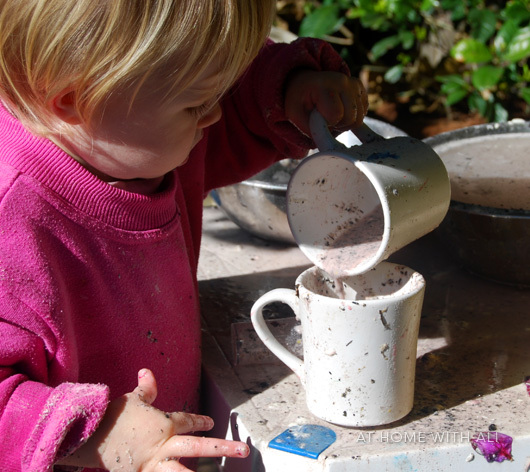 I know what you mean... sometimes I just can't handle messy play!!! Thanks for the ideas! 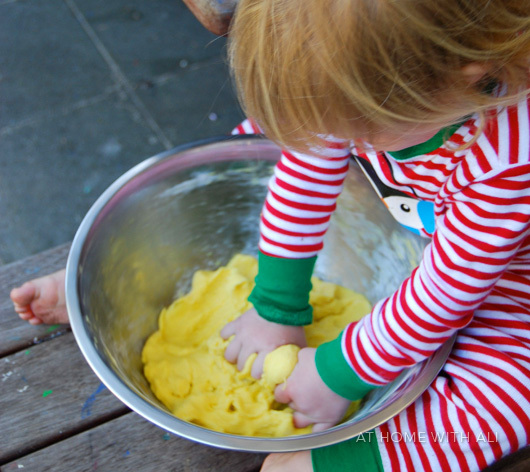 you made me realize that i need to let by 2yo be messier! I think i may be keeping it a little too clean to be fun around here! You are very welcome.... it is lovely to think there is a 2 year old out there about to get messy :) I hope you both have lots of fun. 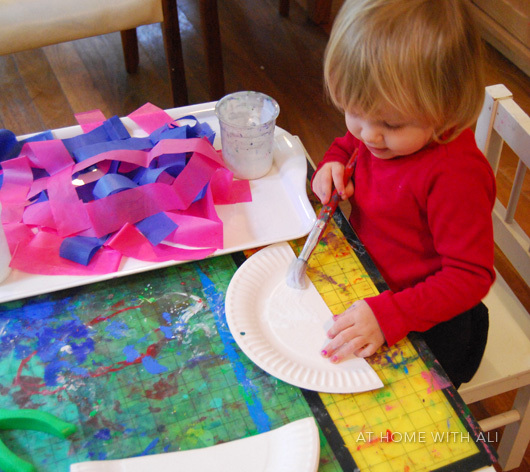 I love the paper towel tube rings for stringing - so clever! Thanks for dropping by. I must get some eye dropper, Boo would love experimenting with vinegar and baking soda. We made pudding tonight; tomorrow we are going to color it with koolaid & paint/play/etc. She's not 1 1/2 yet, so I still have to be a little creative. I am loving 'two', will be sad to see the end of it for my daughter soon. I'm sure 'three' will be just as much fun! 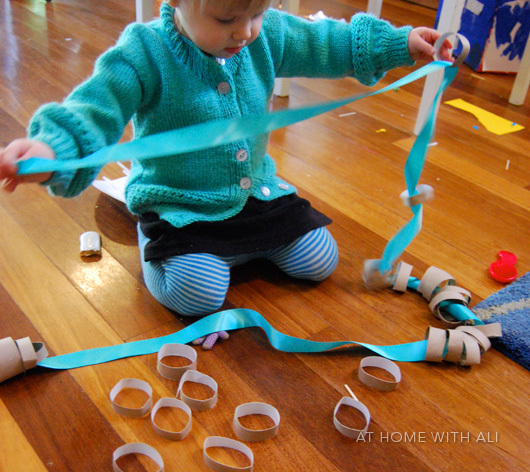 Thanks for some great ideas - I've just used your loo roll trick and written a post about it! been lookin for somethin like this for my 20 month old! my mom of all people lol suggested i turn to Pinterest for suggestions and wahlaa, i found your site. awesome ideas! thank you! We have "water time" I put towels on the kitchen floor and take a small tub fill it halfway up with water put in some cups and spoons and whatever toys they want and they sit and play. After we change clothes. Both my two year old and my five year old love this. Ahhhh, you really can't beat water play. Thanks so much for visiting. I'm so impressed at what your 2 year old can do! Scissors, threading, etc. 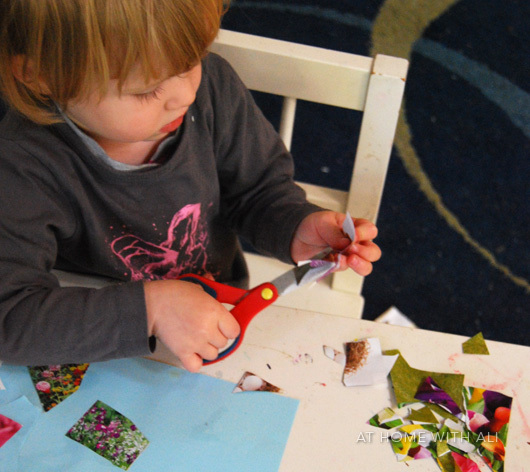 It really inspired me to get out the safety scissors and teach my 2 year old how to cut. We had so much fun doing it! Next we will try painting or glueing. How fun! I just felt like he was too young for all that but evidently not! So glad I came across your blog. Thank you and wonderful pictures btw. That is so fantastic and thank you so much for leaving this lovely comment. You have totally made my day!!! 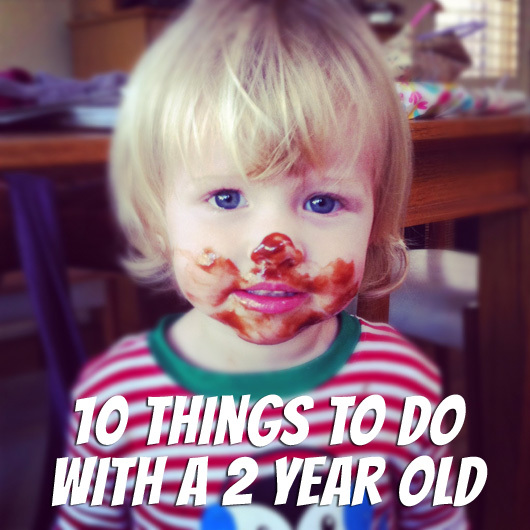 When I Googled "things to do with a two year old" your post came up... Fun ideas. I'm getting my middle grand boy on Fridays for a few hours... want some things to do together. Thanks for the ideas! My 2 year old likes to play hopping (hop scotch) using the kitchen floor tiles!